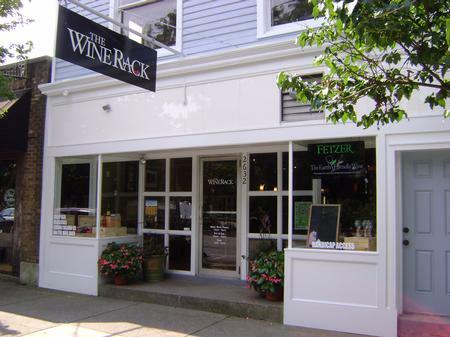 The Wine Rack is conveniently located at 2632 Frankfort Ave. We are dedicated to providing a broad & compelling selection of high QPR (Quality to Price Ratio) wines from the world’s premier wine regions. Whether value or premium, wines are selected personally based on how they stack up against their peers. The Wine Rack uses a “barbell” approach to wine selection with reliable favorites on one end, and esoteric gems on the other. This strategy gives customers a proper balance of familiarity and stimulation amongst the bottles! Wines are hand selected by owner/sommelier, John H. Johnson, with a high degree of emphasis put on maximizing value. There are so many wines on the market, that it’s easy for wine drinkers to become overwhelmed. We act as a screening device, to help sort out the vast world of wine for you. WE ARE NOW DELIVERING! With recent changes to KY state law, The Wine Rack has moved into the eCommerce age with our new ONLINE SHOP! We have selected some of our best wines per category to place on this easy to navigate online store. While this is only a limited view of our actual brick and mortar store inventory, it gives you an “add to cart” way to buy quickly and easily online. For a small $5.00 fee, we offer delivery to residences or business locations within a 5 mile radius of the store. We pledge to get your wine and spirits delivered within 48 hours of the actual order. We also offer delicious Cellar Door Chocolates in our Online Shop. Looking to send a gift basket of beverages to someone in Louisville? We can do that! Gift baskets/sets can be assembled with wines, spirits, and chocolates to order!